If you are looking for a wedding-setting or a holiday that gives you a 180-degree view of the snow-capped Himalayan peaks with cedar forests thrown in, you may look at Kufri’s Royal Tulip resort as a destination. Situated along National Highway 22 on the Shimla-Kufri-Narkanda route, the Royal Tulip offers views from the Rohtang Pass (near Manali) on one side and the Kinner Kailash (in Himachal’s Kinnaur district, close to the India-China border) on the other. All the rooms in the resort have a view of the Himalayas. Moreover, even the lobby area, the glass elevator, waiting areas on each floor or the restaurants, allow you to gaze at the mighty Himalayas, to marvel at its peaks ranging from 17,000 feet to over 20,000 feet. The resort is located at a height of around 8,600 feet (or about 2,600 metres). The resort has an all-weather, heated swimming pool in a glass-house structure, an open terrace and a club to engage guests in various activities. Not too far are a couple of places offering outdoor adventure activities like riding all-terrain vehicles, go-karting, rock-climbing and hiking. 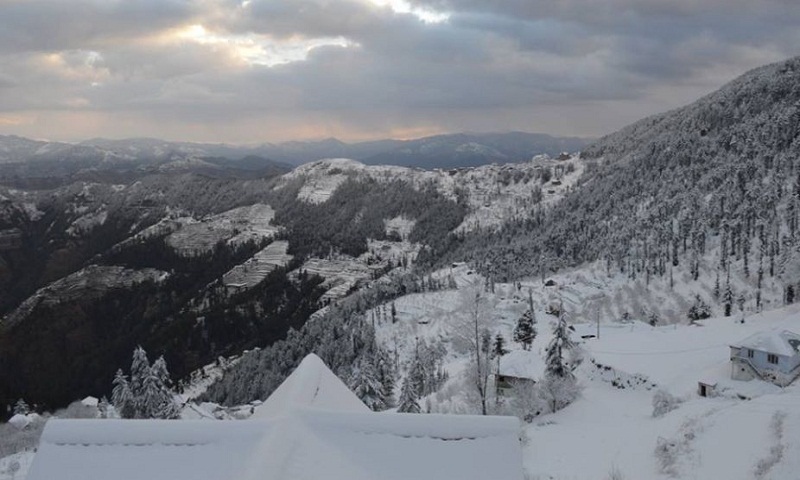 A 45-km drive to the ski-resort of Narkanda, which can be done in around 90 minutes on the highway, takes you deeper into the Himalayas, away from the bustle of “touristy” hill towns like Shimla, 20 km from here. Other places to visit from the resort are the picturesque gold course at Naldhera (around 22 km) and the hot springs at Tattapani (around 40 km). Some guests may find riding a Yak or horse an added attraction. Listed as an international 5-star hotel, Royal Tulip has several dining options, including the Peak, a roof-top restaurant, again offering meals and views. The hotel also has banquet facilities to accommodate 1,000 guests for destination weddings, social functions and corporate off-sites.